This article is about the Italian Army Ariete Armoured Brigade. For the historic Italian Armoured Division, see 132nd Armoured Division Ariete. The Ariete Armored Brigade is the only active armored brigade of the Italian Army. Its core units are Tank and Bersaglieri regiments. The brigade's headquarters is in the city of Pordenone. 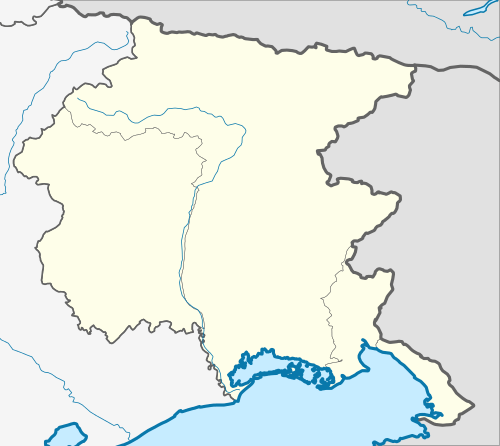 Most of its units are based in the North-East of Italy. The brigade's name comes from the battering ram (in Italian: Ariete). The brigade draws much of its historical traditions from the 132nd Armoured Division Ariete, active during the Second World War from 1939-42, and again active from 1948-1986. The brigade is part of the 1st Defence Forces Command. On 1 October 1986 the Italian Army abolished the divisional level and brigades, that until then had been under one of the Armys four divisions, came forthwith under direct command of the Armys 3rd and 5th Army Corps. As the 132nd Armored Division Ariete carried a historically significant name, the division ceased to exist on 30 September in Pordenone and the next day the Manin Armored Brigade in Aviano changed its name to 132nd Ariete Armored Brigade. On 10 January 1991 the brigade disbanded the 10th Tank Battalion and the 20th Artillery Group. The 13th Tank Battalion had already been reduced to a reserve unit and was subsequently transferred to the Mantova Mechanized Brigade in December 1989. As replacement the brigade received units from brigades disbanded during the Army's draw-down of forces after the end of the Cold War: from the disbanded Mameli Armored Brigade came the 3rd Tank Battalion M.O. Galas, the 5th Tank Battalion M.O. Chiamenti and the 23rd Bersaglieri Battalion Castel di Borgo. From the Garibaldi Mechanized Brigade, which had moved to Caserta in the south of Italy, came the 19th Self-propelled Field Artillery Group Rialto. In 1992 the brigade received the 2nd (Training) Battalion Pordenone, while the 23rd Bersaglieri Battalion moved to Trapani in Sicily to join the Aosta Mechanized Brigade. The same year the brigades battalions returned to be called regiments, although size and composition did not change. In 1997 the 33rd Tank Regiment of the Friuli Mechanized Brigade arrived and when the Mantova Mechanized Brigade was disbanded on 30 August of the same year the Ariete received the 82nd Mechanized Infantry Regiment Torino in Cormons, but already on 5 November 2001 the 82nd Regiment moved to Barletta in Southern Italy to join the Pinerolo Armored Brigade. On 1 December 2000 the brigade took command of the 10th Engineer Regiment. When the Centauro Armored Brigade disbanded on 5 October 2002 the Ariete received the 3rd Bersaglieri Regiment and the 4th Tank Regiment. On 25 November 2009 the 3rd Bersaglieri Regiment moved to Sardinia and joined the Sassari Mechanized Brigade. In 1998 the Brigade's HQ, HQ & Tactical Support Battalion and Combat Service Support Battalion were deployed for a tour of duty in Sarajevo (Bosnia and Herzegovina, under the provision of the SFOR mandate for Operation Constant Forge, and three times in Kosovo (1999–2000, 2001, 2002) in Operation Joint Guardian, then Operation Consistent Effort, attached to NATO's Kosovo Force. In 2001, the first enlisted women joined the ranks of the brigade units. These were later followed by female NCOs and Officers. In 2002, elements from 10th Combat Engineer Regiment, and in 2004 the 132nd Artillery Regiment, took were deployed to Afghanistan. A significant part of the brigade was twice deployed to Iraq - first in early 2004 and a second time from late 2005 to early 2006. The latest overseas commitments were two deployments to Lebanon from early October 2007 to Spring 2008, then again in early summer to late Fall 2009. Small contribution of personnel (notably Staff Officers and NCOs) have been and are being provided to nearly all commitments overseas of Italian Army, from the Balkans, to Multinational HQs all around the world, including OMLT mentors supporting and advising the Afghan National Army in its struggle against insurgents. 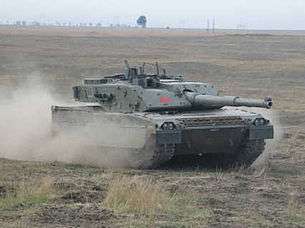 The tank regiments are equipped with Ariete main battle tanks. The Bersaglieri regiment fields a mix of Dardo infantry fighting vehicles and Lince light multirole vehicles. 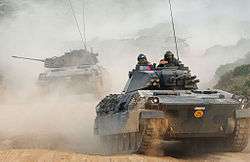 The Cavalry regiment is equipped with a mix of Centauro tank destroyers and Puma 4x4 wheeled armored personnel carriers. The artillery regiment is equipped with PzH 2000 self-propelled howitzers.